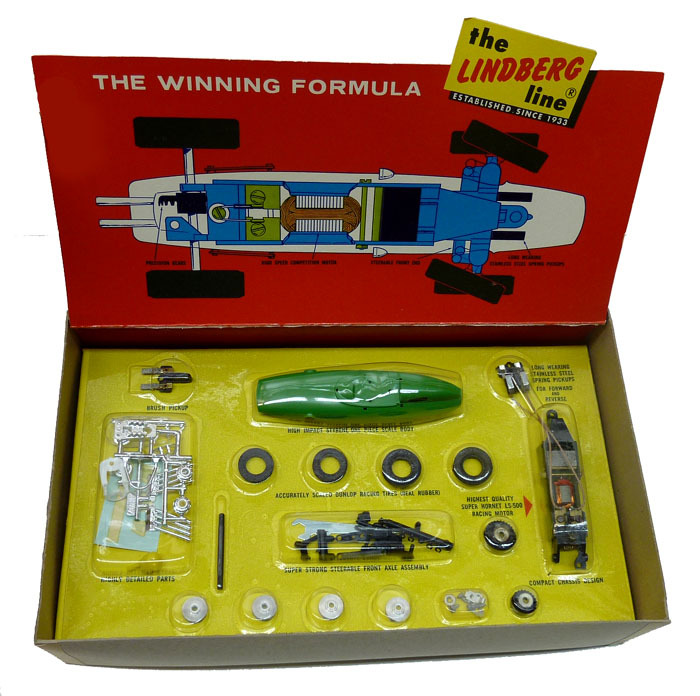 Lindberg slot car kits are rather rare. This one is pristine in its original box with decals and instructions. The BRM F1 1.5-liter V8 racing car was the 1962 Formula 1 world champion, driven by Graham Hill.